* Package of 8 (4 small and 4 large). 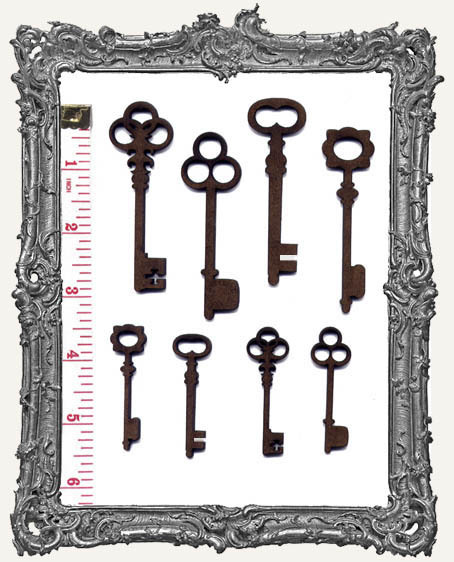 The small keys measure right around 2" long and the large keys 3" long. * While I love all three materials we offer, these are FANTASTIC in masonite. They almost look and feel like real keys! 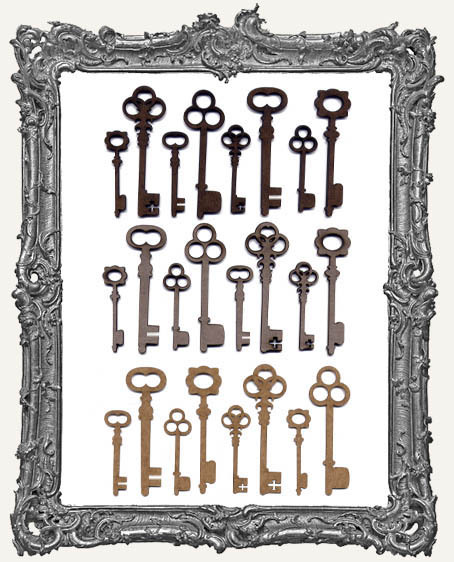 The masonite keys are also great for jewelry projects. Apply a faux metal finish for added awesome. * Paint, collage, ink, emboss, faux metal, embellish, and more! Check out our Embossing Masonite Tutorial for more ideas. * Pick your choice of material below: Sturdy 1/8" thick Masonite (Wood), 1/16" Chipboard, 1/16" thick Black Mat Board, or .015” thick Stencil Board. 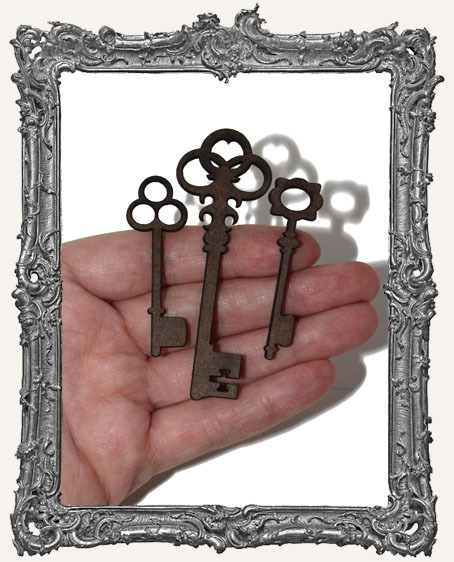 Heart Skeleton Keys and smaller Skeleton Key Charms also available.